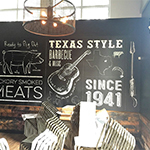 When businesses are looking for a versatile, cost-efficient signage solution that maximizes surface area, vinyl brings an adaptable and truly transformative option to the table. 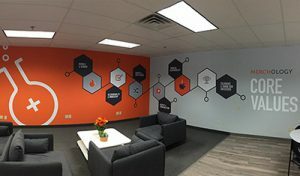 Utilizing walls, floors, ceilings, and glass, vinyl signs and graphics bring a fresh, clean look that comes in a large variety of finishes and design opportunities. 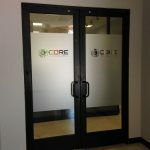 Our clients often use vinyl window clings, vinyl lettering, and custom banners to raise awareness of their business, promoting sales, and offers. Often, our customers and clients aren’t even aware that vinyl is the right solution for their needs, and that is where Liberty Signs, Inc comes in. 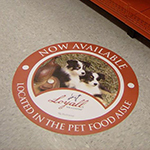 Our vinyl experts identify the proper vinyl material for your needs, project type, and budget, ensuring that you get a quality product that meets and exceeds your promotional, business identification, or customer support needs. 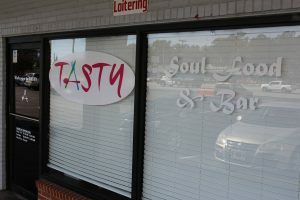 Call Liberty Signs, Inc at (864) 210-1115 for your Free Consultation with a Vinyl Graphics Specialist! Vinyl presents a variety of options for businesses to expand their current marketing and customer generation efforts. As a versatile material, vinyl can be used to create designs of any shape, style, or color, and can be utilized in all most any location! From indoor banners to vehicle wraps, there is truly no limit to the marketing opportunities vinyl presents. 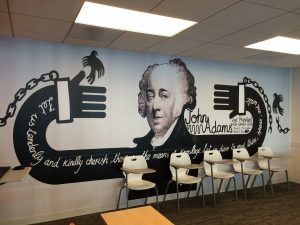 Liberty Signs, Inc can bring their knowledge of vinyl installations to your business, delivering attractive and functional designs that help you strengthen your brand value to customers. If you need durable designs that need to withstand the effects of water or long-term outdoor exposure, we also offer marine-grade vinyl that won’t diminish or erode when exposed to the natural elements long-term. 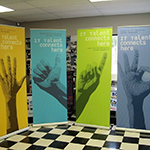 Banners are our most popular vinyl product, presenting unlimited promotional opportunities. Liberty Signs, Inc offers a wide array of indoor banners, outdoor banners, large-format banners, tradeshow banners such as retractable banners and pop-up banners, and any other banner style you may possibly need! Banners are useful both on and off-site, depending on your needs and intended purpose. Outdoor banners are used on storefronts to assist with enticing customers to enter your business to take advantage of a special event, sale, or promotion. 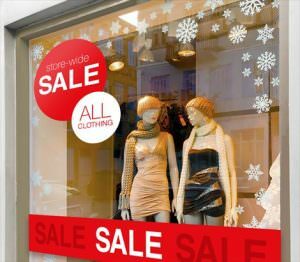 Reinforced with indoor sale banners, customers can easily act on the urge to take advantage of your promotion that drew them into your business in the first place. 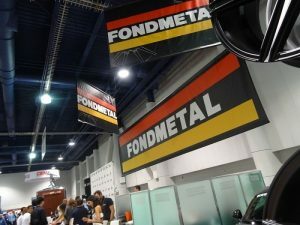 Banners can also be used off-site, to promote your business or to drive booth attendance at tradeshows, conventions, and expos. 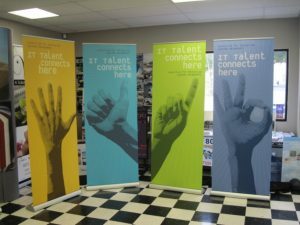 Whatever your intended use for your banners, Liberty Signs, Inc ensures they are professionally designed and manufactured, attractively finished, and complete with any equipment you may need for support or hanging. 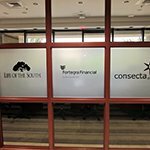 By far the most popular use of vinyl we offer is window clings, allowing companies to maximize the impact of their business windows. Send a message to customers and passers-by with designs intended to catch attention and promote your store or restaurant. A professional and affordable solution, window display vinyl can be used for either decoration or promotion. Window display vinyl provides a series of solutions based on cost and requirement. Using either full or partial-cover, you can incorporate key messages, logos, events, sales, specials and more through eye-catching designs, intended to connect with your target market. If your venue needs privacy, vinyl can also be used to create private spaces that provide space away from other spaces. 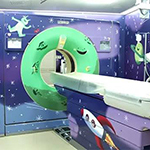 A cost-effective solution, frosted or opaque vinyl can be used in an office block, medical and dental facilities to create a feeling of confidentiality while maintaining a professional appearance. Start improving customer perception at your front door! 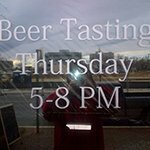 High-quality cut vinyl lettering is an attractive, professional way to share needed information with your visitors and guests. Customers expect certain information to be provided at the entrance to your facilities, including your hours of operation, accessibility options, business license numbers, and other pertinent business information. Impress your clients and build brand recognition and awareness through repetition of branding elements with cut vinyl lettering and graphics by Liberty Signs, Inc! 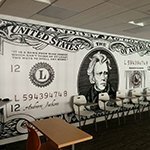 At Liberty Signs, Inc we can turn vinyl displays into feature walls, floors or ceilings, ensuring that wherever people look they see your business and your message. Our installations can be used both inside and out, covering large spaces without compromising on print quality. Attached to a building, stuck to sidewalks, or applied to local advertising boards, your business can create a positive impression with messages designed to drive consumer behavior and increase sales revenue for your company. Whatever the surface, our vinyl clings can do the job. From brickwork to tile, concrete to hardwood, our clings are fully versatile and designed to meet the specifications you have when it comes to installation. 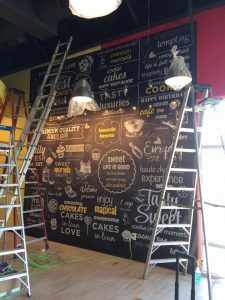 The team at Liberty Signs, Inc will provide a broad range of design concepts and installation ideas to ensure that you get the most from your artwork. We use the best materials available to ensure that the end product stays in place and maintain a high-quality finish, wherever they are placed and for however long you place them there. Starting with a free consultation, through to installation and maintenance, we focus on ensuring customer satisfaction throughout every step of the process. We rise to the challenge of the demands our customers have and are yet to encounter an obstacle we can’t overcome. Your concepts will be created by industry-leading designers, manufactured in our state-of-the-art facilities, and installed by experts committed to delivering excellence when it comes to your signage needs. Many businesses think that vinyl is not the best solution for them. We disagree. Vinyl is an excellent solution when the correct guidance is given on how to use it. Contact Liberty Signs, Inc today to find out more! We are a full-service provider of all the business signs and graphics you could possibly need, from customer-attracting outdoor signs to brand-promoting indoor signs, high-visibility vehicle wraps, and unique custom signs created just for you. We provide free, no-obligation consultations to any business exploring the use of internal and external signage for their business. We will discuss a range of solutions, helping you identify the most practical and affordable product that suits the needs and requirements of your business, while providing you with attractive vinyl signs and graphics that support your business, brand, and goals.